William McCann was the eldest son of Kinley and Mary McCann. He was born in Stewartstown on 31st October 1894. He was the eldest of at least eight children. 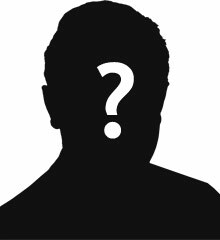 The family had moved to Belfast by January 1908.His father was a carpenter. By 1911 William had left school and was working as a message boy. William served with the Royal Army Service Corps for a time. 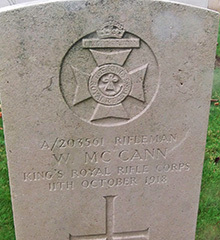 Rifleman William McCann was serving with the 12th Battalion of the Kings Royal Rifle Corps when he died of wounds in France on 11th October 1918.